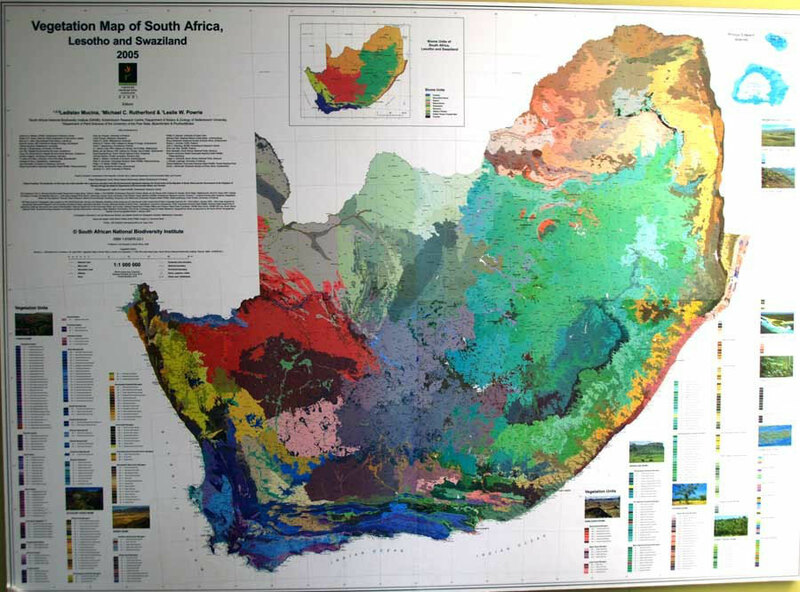 The Cape Floral Region (see map above) is one of the biodiversity wonders of the world. The CFR, less than a third of the size of the UK, has 8,600 species. The UK has 1,500. Indeed, it is said that there are more species on the top of Table Mountain than in the entire UK. 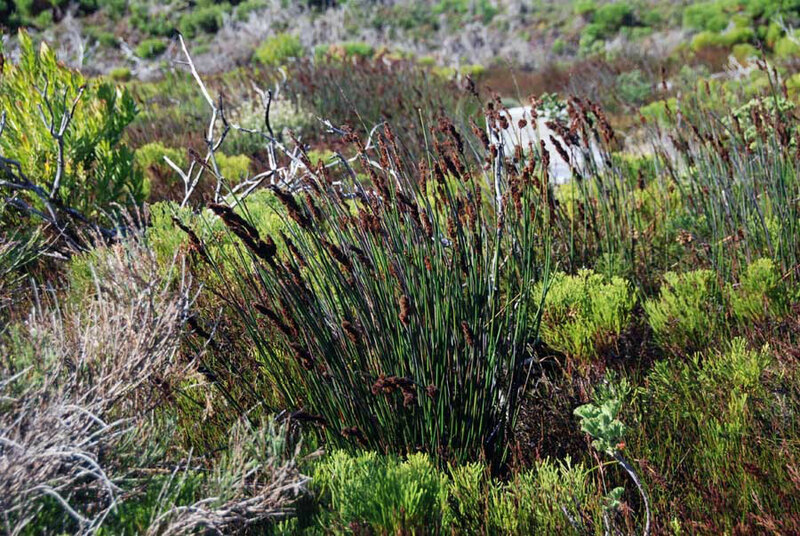 The CFR is made up of two vegetation types: the fynbos and the renosterveld. 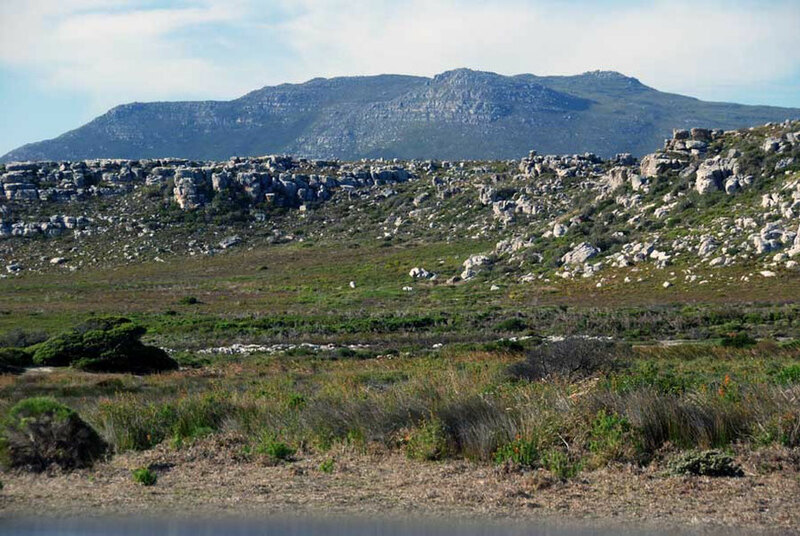 The fynbos is the primary vegetation type of the Western Cape. 'Fynbos' is derived from Dutch and Afrikaans words meaning "fine bush," and grows on nutrient-depleted mostly sandstone-derived acidic soils and is dominated by evergreen, hard-leaved, flowering shrubs, many of which are proteas, ericas, cape reeds (Restios) , and geophytes (bulbed plants). 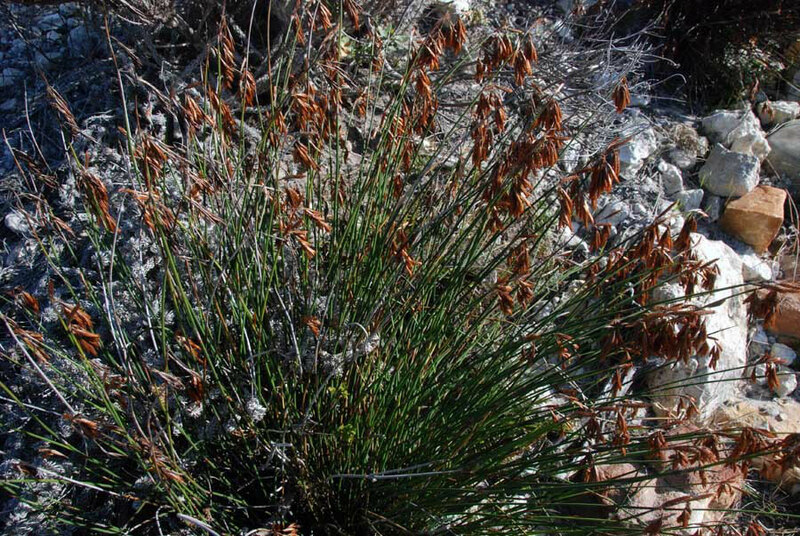 Fynbos exists in a fire-controlled ecosystem characterized by significant winter rainfall, nutrient-poor soils, and exceptional floristic richness and endemism (click for source here). The renosterveld - named after its predominant plant - the renosterbush - literally 'rhinoceros bush' - is much rarer than fynbos due to its disappearance under the plough. 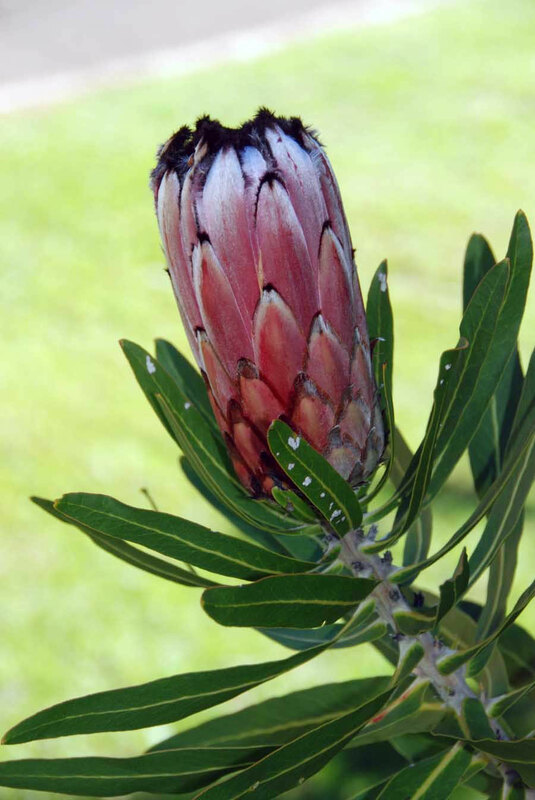 The three top components of the Cape Floral Region are Ericas, Proteas and Restios. Luckily, I got photos of all three. 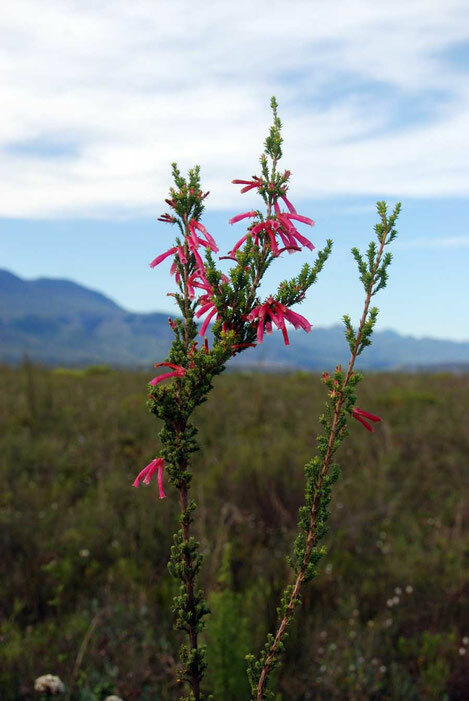 Surprisingly to someone who associates heathers with Welsh and Scottish mountains there are a staggering 650-plus species of Ericas in the Cape Province, giving them the highest degree of regional speciation on earth. Proteas (330 species in the Cape Floral Region) are broad-leaved, deep-rooted shrubs with woody stems and flowering heads made up of many long, slender flowers surrounded by colorful bracts. Restios (restionaceae) are shallow-rooted, rush-like plants that have highly reduced dry, brownish leaves, and grow in clumps up to waist high. 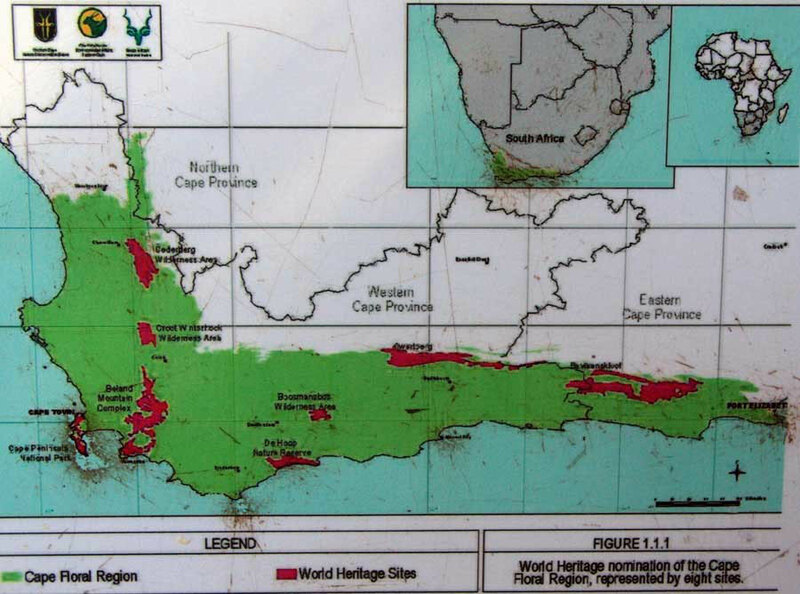 Of the approximately 480 species in the world, about 330 species inhabit the Cape region. Other genera with high numbers of species are Rutaceae (273 species) Polygalaceae (141 species), Thymelaeaceae (124 species) amd Rosaceae (120 species) (see Mucina and Rutherford, The Vegetation of South Africa, Losotho and Swaziland 2010 Vol I, p. 91). 'Many of the species presently inhabiting this region are threatened by extinction. Three-quarters of the plants listed in the latest edition of the South African Red Data Book are in the Cape Floral Kingdom. The coastal area has been subject to the multiple pressures of development, population growth, agriculture, plant collectors and the spread of invasive, alien plants' (source here).